This is my first Guest Designer project. 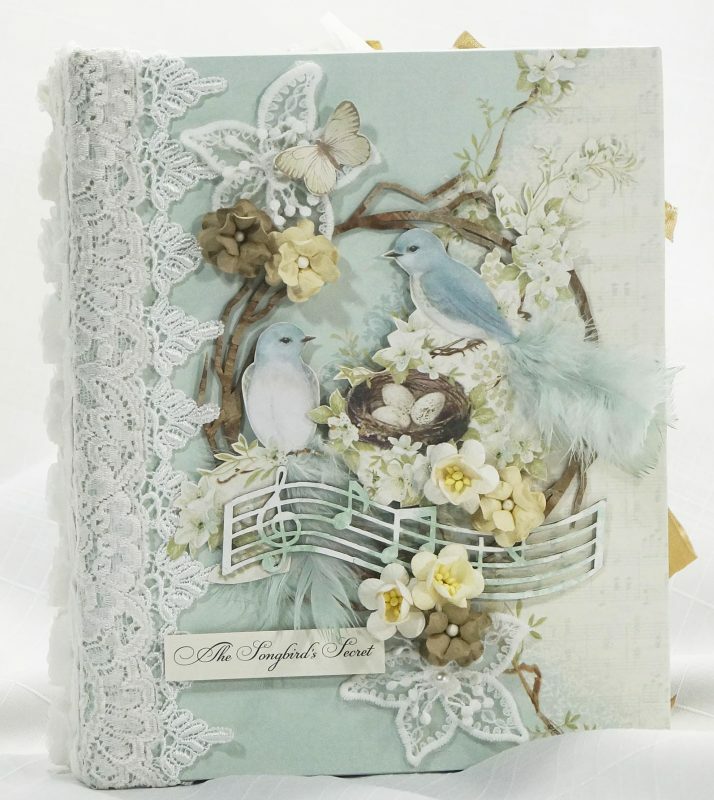 The Songbirds Secret is a gorgeous and versatile paper collection! It’s wonderful That Pion Design has solid colored card stock that matches perfectly! 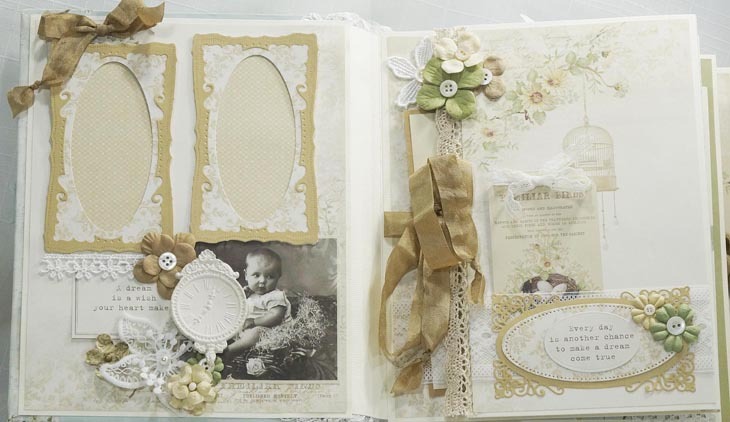 Cut out’s from Grandma’s Attic add so much romance to projects. 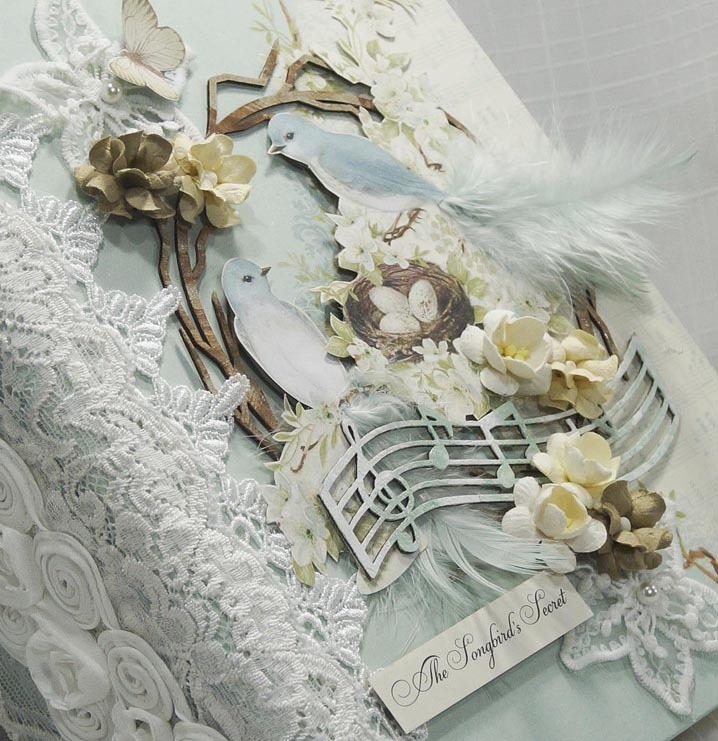 You can watch a video walk through of this album on my You Tube Channel and see all it’s details and ways that I used The Songbird’s Secret papers.